Join us for one of Kenny’s roast chicken dinners at 6:30, film at 7:30. Run time 73 minutes; unrated. 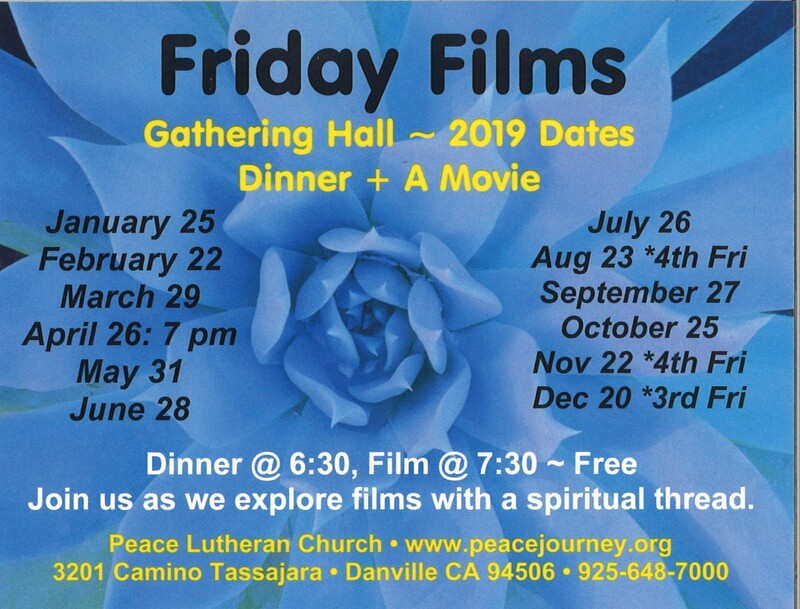 We hope you enjoy our Friday Film series as another venue to explore spirituality. Over the course of the year, our “Film Committee” will be offering a variety of different links for your reading pleasure. 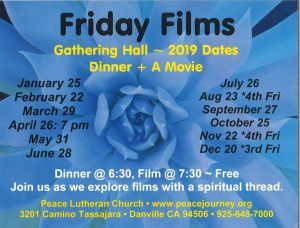 The Spirituality & Practice link will take you off the Peace website to an essay on Befriending Films. Thanks to Elana O’Loskey for her creativity and Friday Film opportunities. Here’s a look at the dates for 2019!! Interested in reading about some of the movies we’ve already seen at Peace? Click here.